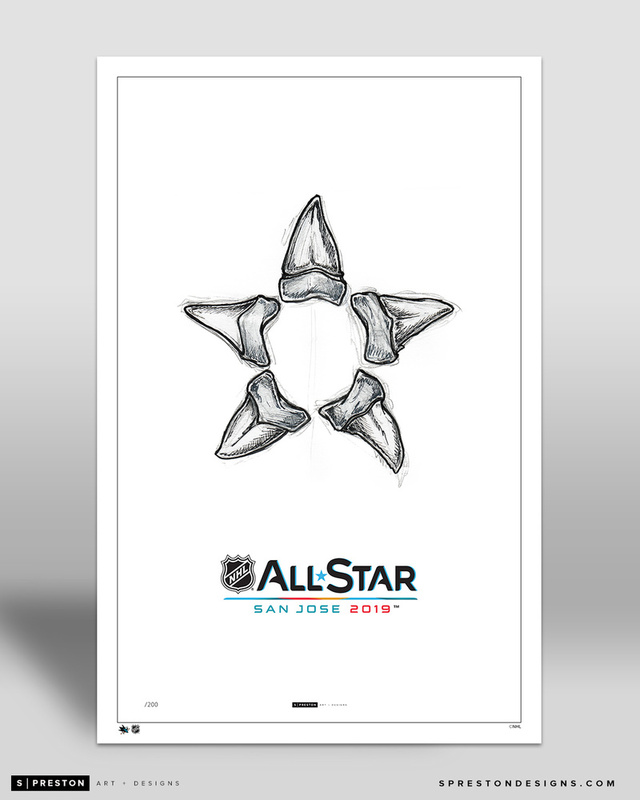 You have a chance to bid on a limited edition sketch print from the 2019 All-Star Game in San Jose by sports artist S. Preston. This print is a 11x17 inches and printed on matte 10pt paper and limited to 191/200 prints. The artwork is hand signed by S. Preston comes with a NHL hologram. S. Preston is a graphic artist born in Canada and now living in sunny California. Melding his two passions for sports and clean design, S. Preston has defined himself with his unique perspective in the work of sports branding and graphic arts. Prestonês illustrations have quickly gained popularity across North America. Simply, these designs ignite a feeling of reminiscence and make an emotional connection between sports and art. This reaction has made this series an internet sensation. His clean and identifiable designs have been featured in media across the country, including the NY Daily News, Sports Illustrated and ESPN. See more at sprestondesigns.com.